As a recent transplant to the Rio Grande Valley, I am overwhelmed by the outpouring of kindness, support and affection witnessed over the past few weeks toward federal employees. I join the thousands of employees residing in the cities and towns that make up the Valley in relaying a heartfelt thank you. My law enforcement career, spanning more than 35 years, has taken me all over the country. I have lived in cities large and small and can say with certainty the residents of South Texas are among the most generous. The offers from the local governmental agencies, businesses and charitable organizations provided peace of mind and assurance to many of our families facing anxiety over their financial situation during the government funding hiatus. It is my great fortune that, with less than two weeks serving as the RGV Sector’s chief patrol agent, many have taken time out of their schedules to welcome me to the region. My first glimpse at all the Valley has to offer is inspiring, and I look forward to continuing the great relationships our dedicated Border Patrol personnel enjoy with this community. Partnerships and support from stakeholders are a vital component to an effective border security strategy and the Valley is not lacking in that requirement. I am pleased to see the vast amount of opportunities that exist within our cities as the region continues to attract large businesses competing on the national and international stage, furthering economic prosperity. The growth provides seemingly limitless potential for families residing in the area. The expansion of schools, hospitals and shopping centers is impressive, all made possible by the hard working men and women who call the Valley home. But with this success, the opportunity exists for those wishing to exploit a flourishing system. Those who target our children with false promises of lavish lifestyles without any hard work; those who operate without regard for the safety or well-being of our residents; those who show no remorse in abandoning the sick or abusing the weak. It comes as no surprise to many of you that the Valley remains one of the busiest sectors in the nation for both narcotics and illegal immigration. The continuous flow of illegal immigration and narcotics into this area has placed us in the national spotlight, focusing on issues that often overshadow our successes. As we advance our border security mission, we will continue to strengthen our partnerships. These partnerships are key. There are many agencies working to provide security to the residents of South Texas and thousands who don a uniform to tackle day-to-day tasks and overcome obstacles, and we recognize that our missions are not mutually exclusive. In remaining accountable to the communities we are entrusted to serve, our desired end state is one and the same: a secure and economically profitable South Texas. The issues caused by a porous southern border affect every citizen in our great nation. As a law enforcement officer, I am under no illusion that we can simply enforce our way out of the problem. The demand for the illicit contraband flowing into our country is a major contributor to criminal organizations’ ability to fund their operations. Educating our youth, providing alternatives and expanding diversion programs will be a part of our comprehensive border security strategy. The more than 30 school districts serving our area remain committed to working with law enforcement agencies as they inform our youth of the consequences of their actions. Diversion programs such as Operation Detour, Red Ribbon Week and the various other initiatives incorporated during the school year have a real effect on student lives. As I become a member of the professional law enforcement community protecting the Valley, I am excited to continue the great work being done. The successes realized on a daily basis are a direct result of the collaboration between the many federal, state and local law enforcement agencies. Border Patrol agents regularly participate in training, share valuable intelligence and conduct enforcement actions alongside the dedicated agents, officers and deputies. The resources available are finite. In leveraging the capabilities we each possess, together we are incredibly effective. Even with the current political climate, our personal opinions, and conflicting priorities, I am extremely confident that discussions between those charged with securing the border and our elected officials, property owners, businesses and members of the general public will be transparent and productive. This confidence is based on what I have seen in recent weeks and I look forward to giving back to the community that has been so supportive of me and my colleagues. I am proud to be a resident of this community and, on behalf of the U.S. Border Patrol’s Rio Grande Valley Sector, we appreciate you more than you know. 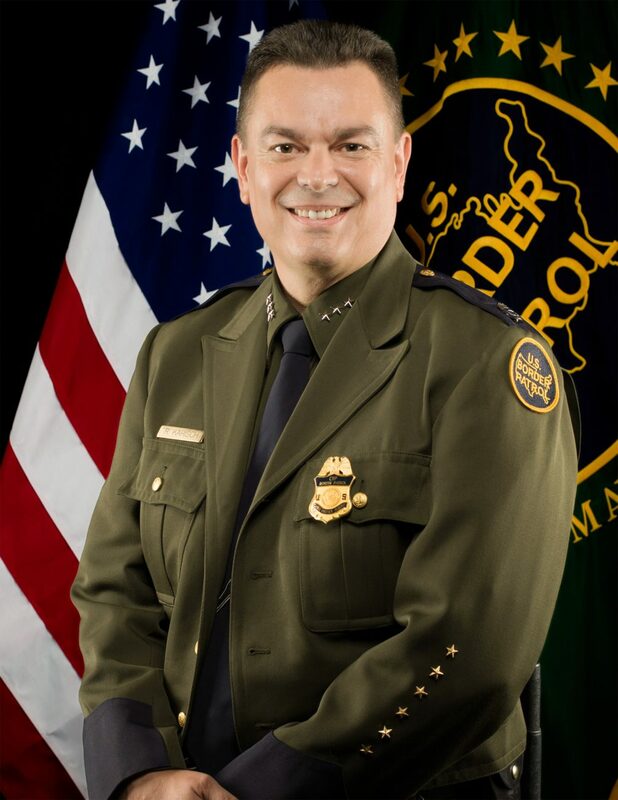 Rodolfo Karisch is chief patrol agent for the U.S. Border Patrol Rio Grande Valley Sector.